If you’re still unsure of machine learning and it’s benefits, consider these scenarios. In 2016, Google’s net worth was reported to be $336 billion, and this is largely due to the advanced learning algorithms the company employs. Google was the first company to realize the importance of incorporating machine learning in business processes. And the technology powerhouse doesn’t stop at any given point; it keeps modifying its algorithms to better suit the needs of its users continuously. Before the technological age, what was the biggest problem faced by businesses? Operating within a limited space accessible only by a limited number of people. For a designer, it was necessary to completely clear out the previous inventory before utilising the shelf space for new designs. By embracing machine learning and diving into the world of e-commerce, you don’t ever have to worry about running out of shelves. With the introduction of automated processes, businesses have become increasingly consumer-centric. To be able to survive the competition of catering to your customers’ needs, you as a business owner have to understand the needs of your consumers. Imagine standing in line in a supermarket; someone with a long haul is standing ahead of you and the cashier’s machine suddenly breaks. It’s a nightmare, right? You could be spending those precious minutes watching your favourite series on Netflix. Now imagine that the machine is not broken but in fact was never invented. The cashier has to manually enter every purchase and tally it with the existing stock. Incorporating automated processes to record inventory stock and purchase order data is not a luxury, it’s a necessity in today’s world. Machine learning has increased the efficiency of businesses and minimized the room for error. Want to learn more about how to incorporate Big Data analytics to propel your business towards growth? Visit Simplilearn for useful insights into the subject. For more interesting content about data analytics follow me on Twitter and LinkedIn. Business dynamics are evolving with every passing second. There is no doubt that the competition in today’s business world is much more intense than it was a decade ago. Companies are fighting to hold on to any advantages. Initially, strict rules and regulations governed data and restricted people from accessing it. The new form of data governance makes data accessible, but it also ensures security and protection. You can learn more about the new European Union General Data Protection Regulation (GDPR) law and unified data governance over here in Rob Thomas’ GDPR session. The other two aspects of data management are concerned with data engineering. A spreadsheet full of numbers is of no use if it cannot be tailored to deduce some useful insights about business operations. This requires analytical skills to filter out irrelevant information. There are various visualization technologies that make it possible and easier for people to handle and comprehend data. Want to learn more about the topic? Watch replay of the live session with Hilary Mason, Dez Blanchfield, Rob Thomas, Kate Silverton, Seth Dobrin and Marc Altshuller. Follow me on Twitter and LinkedIn for more interesting updates about machine learning and data integration. This list was originally published on Product Hunt here. Below is an abbreviated version. Sam DeBrule co-founder of Journal and voice of the Machine Learnings Newsletter has curated a list of top startups using Machine Learning to automate work-related tasks. I’ve pared this down to my favorites for simplifying recruiting and team building efforts. Job descriptions are often vague and unintentionally biased, which affects the quality and diversity of applicants applying to your jobs. By generating insights from your job posts, Textio teaches you how to better message an open job role in a way that is both non-discriminatory and eye-catching to applicants. Slack facilitates quick, real-time communication using ML-powered search, allowing you to chat with your team and candidates without the lag-time between emails. It automates many internal status updates and meetings regarding candidates as they move through the pipeline. Additionally, with hundreds of groups, it’s a great place to source candidates and learn tactics and best practices from other recruiters. Wade & Wendy has developed an Applicant Experience Chatbot, Wendy. She serves as a first-round interviewer and candidate engagement tool. By chatting with applicants at the top of the funnel, recruiters and hiring teams can spend more time building relationships with candidates and sourcing hard-to-fill positions. With nearly 1 in 3 employees searching for new opportunities, many often communicate with recruiters when a few spare minutes arise while at their current job. When candidates have a small window of time, recruiters need to move fast with their communication. Grammarly is a seamless way to side-step embarrassing typos when quickly emailing (or Slack-ing) back and forth. Between, texting, calling, emailing and messaging candidates, it’s tough to keep your calendar straight. X.ai uses AI scheduling assistants to automate this process. Cc’ing Amy to emails eliminates the time-consuming task of scheduling phone calls, interviews and coffees with candidates. Bailey Newlan is the Content & Growth Marketer at Wade & Wendy, a New York City-based startup on a mission to make hiring more human. Wade & Wendy is a conversational engagement platform for recruitment automation. To connect, reach out to Bailey via LinkedIn, Twitter or Medium and join the private beta list. Believe it or not, automation is changing our entire lives, the way we live, think and work. As quoted by Mr. Abhijit Bhaduri, author of Digital Tsunami, “Humans resist change, machines don’t.” We are at a age where we no longer can nor should resist change. That said, technology is also massively impacting the HR functions. Most of the traditional support functions of HR, such as payroll, attendance etc. are being automated. Adding to the progression, chatbots are further driving more engagement with its personalized attributes, and is further adding up to redefining the HR role. One might wonder, will the rapid pace of digitization re-define HR? Of course yes, with millennials making up more than half of the current workforce — and predicted to make up 75 percent by 2020 — HR has to embrace technologies to keep at par with employee and business demands. A lot of work in HR used to be related to adherence to compliances and therefore, huge amount of work related to paperworks was involved. But, now things have changed. Online portals and platforms provide HR with all the information that they need. Today’s technology gives HR professionals access to the power of Big Data and changes the way businesses understand their customers, build their own brands and communicate to prospective employees. One of the boons of Big Data is Predictive Analytics. In big corporations, it is very difficult to keep a track of each employee. Predictive analytics enables HR to understand which employee needs an additional training. 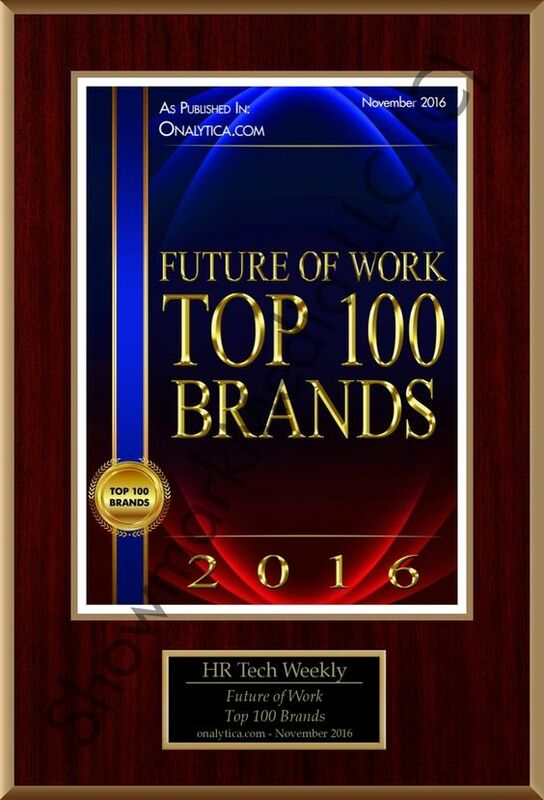 Another technology which is impacting HR in a big way. Gathering and storing of information has always been a major function of the HR department, and the stack of files not only waste office space but are very difficult to trace as well. Can you even imagine, a millennial, who is always glued to his smartphone will have the patience to go through all the piles of paper? Thanks to cloud technology, all of this information can instead be stored in the cloud. No longer does an employee need to tick the boxes while filling up a feedback form which again runs the risk of getting lost. All the employee information like tax documents, payroll, feedback etc can be stored online securely. Cloud-based systems and Big Data go hand in hand. With Machine Learning emerging steadily, all these data will make a lot of sense few years down the line, it all depends how well can one derive relevant information out of it. There are some information which are very subjective in nature, like how to fill the Form 19 or file for the income tax returns. It makes no sense if the employee walks up to the HR managers for day-to-day queries or any concerns they might have regarding their pay, leaves, performance etc. To narrow down the gap of communication between the employees and the HR, PeopleStrong recently launched India’s first HR chatbot ‘Jinie’. From a transactional interface with employees to a conversational interface, Jinie the India’s first HR Chatbot will be able to provide the next level of experience to its employees. In the era of smartphones, this will be a great boost in employee engagement. These are few of the many ways in which the HR domain will change and adapt itself to digitization. With the burden of a lot of paperwork gone from the shoulders and with new data in hand, HR department will be fully equipped to make the employees life much easier and will add more value in business. 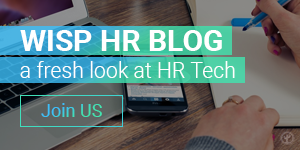 If you want to share this article the reference to Bangabdi Roy Chowdhury and The HR Tech Weekly® is obligatory. Emerging Talent is not void of the many changes taken place over the past year. Plugging the skill gaps with EU workers is under threat from Brexit however does the apprenticeships levy pose to fix that issue? Are graduate schemes at risk? As young people look for more than just a good salary from work, is retention becoming more difficult? Can we do anything about it? On the 27th April, talentleadersconnect. will be hosting for the second time, TLCon: Emerging Talent that will give 70 Head of early careers, HRD’s, graduate recruitment, apprenticeships and talent acquisition professionals the opportunity to learn, share and network around a theme that is getting more and more important each year. The agenda will have case studies, research and thought leadership from the likes of L’Oreal, Cognizant, Centrica, LaunchPad, The Chemistry Group plus more. We’ll be starting off the day with research from the Graduate Recruitment team from L’Oreal on the graduate talent population and their expectations and career priorities. Within this same event, Bright Network have carried out research of their own on this topic which should provide a good comparison of the results. Furthermore they’ve been implementing some really great initiatives to gamify how they attract and retain candidates. They’ve told us a little bit on this and we were stoked at the ideas. We’re sure you will be too once you hear it! We then dive deep into AI and Machine Learning. Don’t worry, there won’t be a whole bunch of code put on slides however we will be looking at an overview of the trends and how this affects your work in recruitment and HR. Will Hamilton from LaunchPad will guide us through the latest innovations in what will be a very futuristic presentation. We continue to trailblaze into the future by looking at Apprenticeships in the New World. It’s no doubt, there’s a lot of division between viewing the apprenticeship levy as a tax or investment and Erica Farmer, Apprenticeships and L&D programme lead for Centrica is best placed to fill us in on the benefits; she represents Centrica at the National Apprenticeships Service’s lead employer Apprenticeship Ambassador Network. After our time travel into the future, we go back to student recruitment 101. You may be excited about all the new tools and changes that will affect how you go about graduate recruitment but “You can’t harvest fruit from the trees you haven’t planted yet.” Brian Sinclair, Head of Student Recruitment for Cognizant will give you practical advice on everything, from requirements gathering to pipeline reporting with some useful templates and tools to help explain and position best practice with key internal stakeholders. There’ll be a buffet lunch and plenty of time to network with your peers around all these topics so join us on the 27th April with your complimentary ticket at TLCon: Emerging Talent. talentleadersconnect. is the largest Talent Acquisition & HR event series in the UK & Europe. The events combine industry leading keynote talks, interactive discussion sessions and relaxed social networking opportunities.